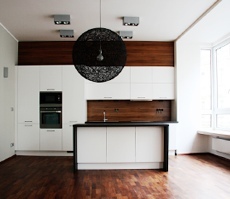 Are you looking for above standard dwelling with modern design? Does your company need a new modern office? We build and, on a long-term basis, rent modern business and office spaces as well as above standard dwellings. We are an investment and development company at the same time, disposing of Czech capital. The main purpose of the developments is a positive contribution to work and life of their residents and their surroundings. We create high-quality and comfortable space for work, commodious living and relaxation. Thanks to previous activities of Magnum Company we managed to realize more than forty projects. 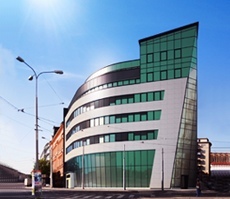 Commercial, residential and office projects are realized in Brno, Prague, Olomouc, Pardubice, Hradec Králové and Františkovy Lázně. Currently, we rent more than 20 facilities in our ownership. Thanks to previous activities of Magnum Company we managed to realize more than forty projects. With every construction or reconstruction we respect the needs of future tenants. Each realization follows expedience and economy criteria of future facilities. This way we enable the realization of less economical projects as well. The proof of our work’s high quality is the Building of the Year 2008 Award in South Moravian region for luxurious housing estate Anenské terasy Residence in Brno. In the same year, our project Magnum Palace in Pardubice was awarded with an honorable mention for a building outside of South Moravian region. Furthermore, in the competition Building of the Year 2009 in South Moravia we came on second in the Reconstruction of Buildings and Facilities category for the project Květinářská Residence. The Magnum group consists of 17 companies which provide realization and subsequent operation and management of each project. The main development and investment activity of the company focuses on the center of Brno – Magnum is currently a significant private investor in the center of Moravian metropolis.